This past week Democrats harassed and abused DHS Secretary Kirstjen Nielsen at a Mexican restaurant and forced her to flee. An unhinged Democrat mob then threatened the female DHS Secretary at her home. Democrats booted White House Press Secretary Sarah Huckabee Sanders and her family from a Little Liberal Red Hen restaurant. On Saturday Democrats harassed and heckled Florida AG Pam Bondi and screamed at her at a movie theater. And leftists are continuing to ramp up their rhetoric to incite attacks against conservatives and Trump supporters. 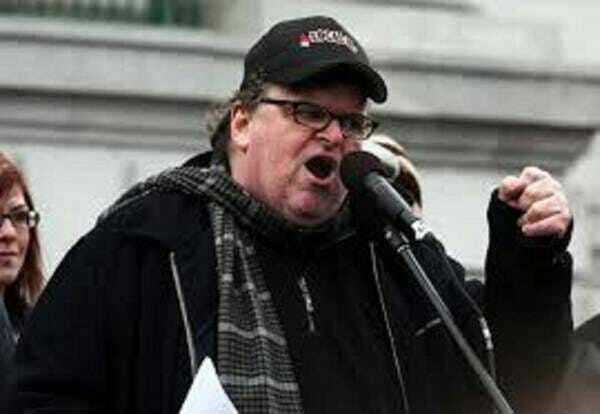 Days after Rep. Maxine Waters called on her followers to heckle and assault members of President Trump’s cabinet, left-wing documentary filmmaker Michael Moore urged Americans to put their bodies on the line to bring down the Trump presidency. Immediately after Moore exclaimed in an interview with Late Show host Stephen Colbert Thursday that he doesn’t support violence, the 64-year-old filmmaker warned that the anti-Trump resistance must be “willing” to risk their bodies to help bring Trump down. Accusing Trump of planning on being “president for life,” the Oscar-winner argued there is only one way to impede the president’s agenda. “Sadly, Trump is not going to leave,” he said. “He plans to be reelected, he loves the term ‘president for life.’ The only way that we’re going to stop this is eventually we’re all going to have to put our bodies on the line. You’re going to have to be willing to do this,” he said. Moore, who has described the president as a “sociopath” who presents a “singular threat to humanity,” argued Republicans would never win the White House if there were no electoral college. A Rasmussen poll released at the end of June 2018 revealed a significant number of Americans voters fear that political violence is on the rise, with one third concerned a second US Civil War is on the horizon.